The improper valuations have been occurring in the process of bringing public lands (including land repossessed by the government) into the market, and the prices of public lands are not properly collected. The definition of public lands is not spelled out in the Land Law. The low land - use tax is another reason for the low revenues and is also enabling land speculation and hoarding. This has been causing a relentless increase in land prices and a significant migration of people from rural to urban areas. These are two weaknesses (can be seen as two bottlenecks) of the land-related financial system in Vietnam, and need solutions. The loss of revenues from public lands and their sales originates at the stage of land valuation. According to the 2003 Land Law, the official land prices have to match market prices, but this has been not applied effectively in all places. The violation of this law has been occurring across the country but has been ignored as a normal activity. When the economy moved from subsidies to the market mechanism, the government had huge tracts of public lands and a lot of public assets. If these resources had been used efficiently, Vietnam would have been a financial superpower. Unfortunately, the opportunity was frittered away. The amendments to the Land Law in 2013 made some improvements to land pricing. The land prices listed by provincial People’s Committees are only used for tax and fee calculation. For selling public lands, the price is determined case by case. But generally the government does the land valuation by multiplying a pre-determined factor with the land price in each province. It means that the values listed by provinces are used to calculate prices when public lands are sold off. Currently the government regulates land prices with two tools, its land price frame and the land price lists of provincial people’s committees. However, in both, prices are lower than market prices. In Ha Noi and Ho Chi Minh City, some studies found, the prices are just equal to 30 percent of the market price. Asked why their prices are so low, officials in both cities replied with a question: how can their prices be high when the government’s price frame is so low? 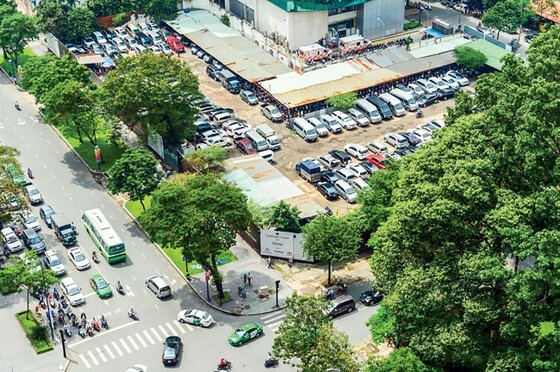 Ho Chi Minh City had proposed to increase prices, but deferred it because of public displeasure. Many people wanted prices to remain unchanged because any increase in land prices would result in higher land taxes and land-use fees. The increases in taxes and fees caused by higher official land prices could have been mitigated by reducing the tax and fee rates instead of the land prices. The site at 8-12 Le Duan (HCMC), area of 5,000m2, was recovered to auction again. When provinces’ official prices are aligned with market prices, let us say they are 80 percent of the market price, the difference between the sale price and the one on the contract will not be significant. Low prices in sales contracts brings some benefit but carries high risks. The sale price of a government land plot must be equal to or higher than the official price. If it is equal, when official prices are aligned with market prices, the loss to the government’s coffers will be much less than now. In conclusion, the government and provinces’ land prices being significantly lower than market prices causes difficulty in valuation, incentivises corruption [since officials sell at government rates] and makes tax and fee calculation more complicated. The land-use tax is too low while the sales tax on land sales is too high. What is required is to adjust the tax rates commensurate with the increase in land prices and current income levels. The land-use tax on non-agricultural land is currently 0.03 percent of the official price. The Ministry of Finance once suggested a new rate of around 0.4 percent and also collecting the tax on the value of the house and not just the land. Again there was a dispute and this recommendation too has gone to the back burner. Tax is an important and effective, but also complex, tool. The total cost, including the tax on selling the land and registration, notarisation and other related fees, comes to around 2.7 percent of the official land price. If the price increases, these fees will become too high. To encourage registration at the actual transaction price, the tax ratios should be reduced to, say, 1 percent. In some industrialised countries, property tax accounts for 60-90 percent of a province’s revenues. The increase in tax rates on non-agricultural lands will be beneficial. Province and city governments’ revenues will increase, migration from rural areas to cities will decrease, land speculation and hoarding will reduce, land prices will cool down, and the current housing shortage can be easily resolved. Firstly, in my opinion, the government should not use its price frame and should task the Ministry of Environment and Resources with periodically checking provincial prices to resolve the problem of price differences. Further, it should increase the official rates in cities, places that will become cities and suburbs to market rates. The maximum permitted difference between this price and the market price should be 20 percent (like in some industrialised countries). The government should also penalise provinces that violate this rule. To resolve the second bottleneck, the government should have a long-term master plan, may be for several decades, to gradually increase the basic non-agricultural tax rate from the current 0.03 percent to around 1 percent. The increase in tax should be linked with the increase in official land prices and wages. The land-use tax increase should focus on cities, especially those with a high population density. The government should also consider creating specific tax mechanisms for mountainous areas and for underdeveloped rural areas. At the same time, it should reduce income tax on land sales to create a better system, one that meets the economic development needs. In conclusion, before do anything else, the government should prioritise tackling these two bottlenecks. The important tasks in the longer term are to replace the provincial price lists with land valuation maps and create clear land sale procedures and valuation methods both generally and for individual lands.